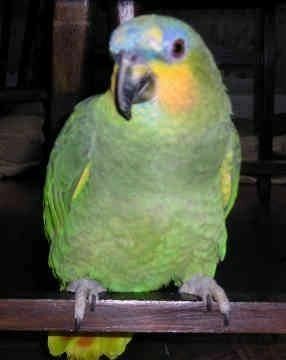 Stolen in Kent (this has come via Ann (welshanne) her granddaughters friends parrot. The Amazon is called Bilbo. pore boy hope he's found soon. how heart breaking. Update - the bird was not stolen as such, but someone looked after it as its owner was terminally ill, the family went to get it back but the lady had sold it on. Now the family are trying to trace it, they want to know whether it has a good home! Sorry about all this ! Asked Di to help me as my granddaughter Kim had asked. It is posted on Facebook by her and anyone who can find out where the bird has ended up, they would be so happy to know it is being taken care of and is happy. Just to put their minds at rest. If you are looking after a pet for a friend you do not go and sell it on just because that friend has sadly died. You get in touch with the family surely and find out what to do to help. Thank you all for reading this and just hope there will be some news to put their minds at rest.